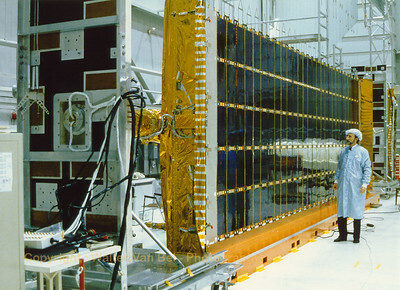 Jeff King (ESA) next to the solar pannel of Olympus-1 at Spar Aerospace. 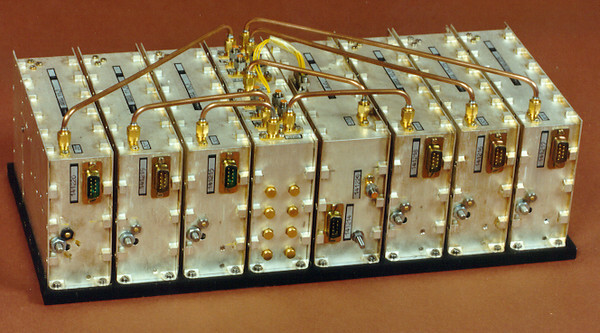 In the mid-1980s, Spar built communications satellites for Hughes Aircraft and Telesat Canada (the Anik-E). 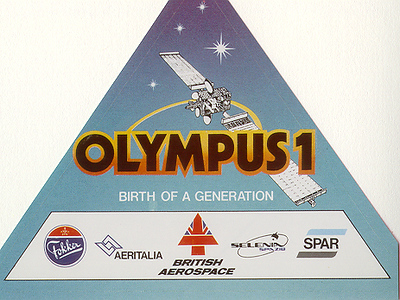 The company manufactured Olympus-1 (or L-Sat) satellites in collaboration with Fokker. 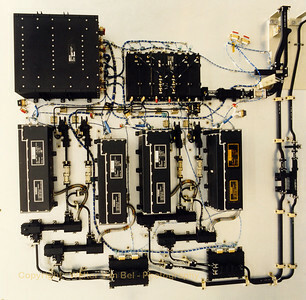 Its Communications Systems Division also developed equipment for satellite communications for the energy industry. 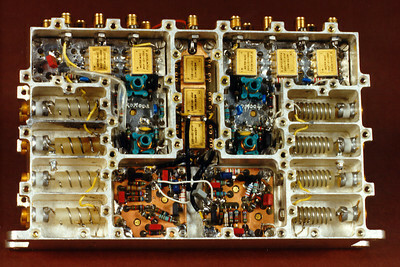 The "LO" Flight Model, installed on its base-plate, prior to shipping. 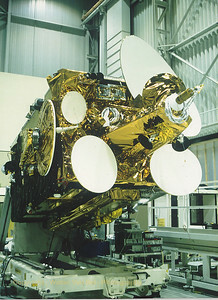 The "LO" installed in the thermal vacuum chamber at Alcatel-Bell Space (Antwerp). 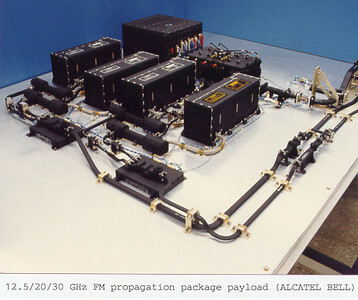 Top view of the Flight Model of the 12.5/20/30 GHz Propagation Package Payload (at Alcatel Bell). 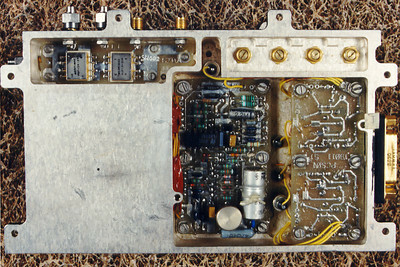 The BB-model of the "LO" (Alcatel Bell). 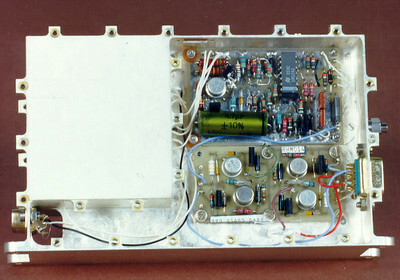 The EQM-model of the "LO" (Alcatel Bell). 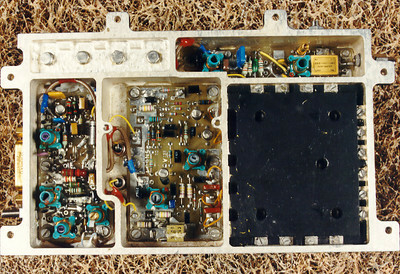 The LO Master Oscillator module (Alcatel Bell). 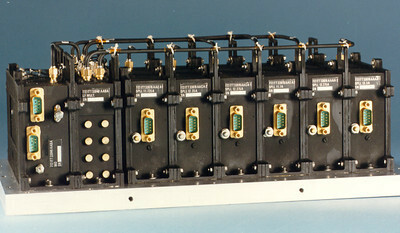 The FS Master Oscillator module (Alcatel Bell). 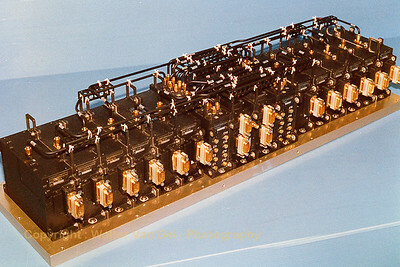 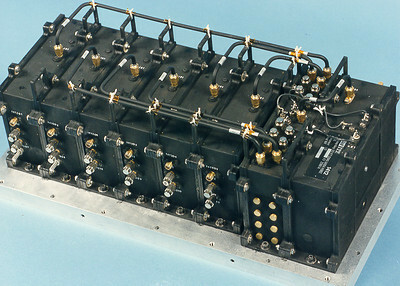 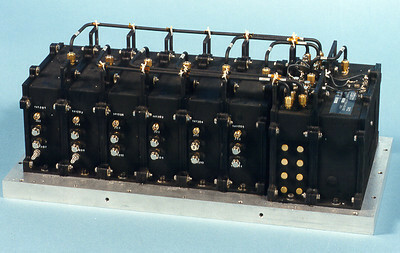 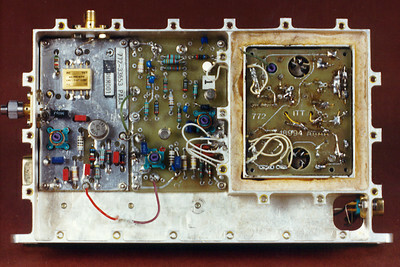 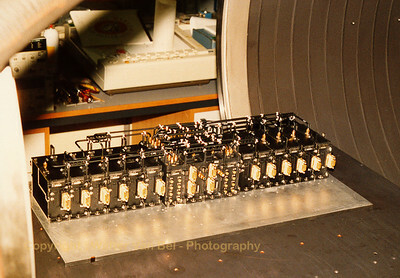 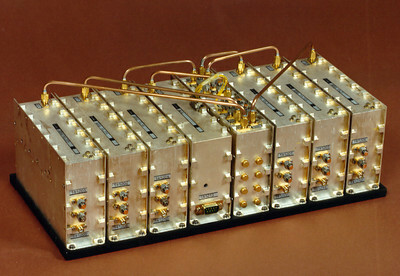 The Multiplier module of the LO (Alcatel Bell).